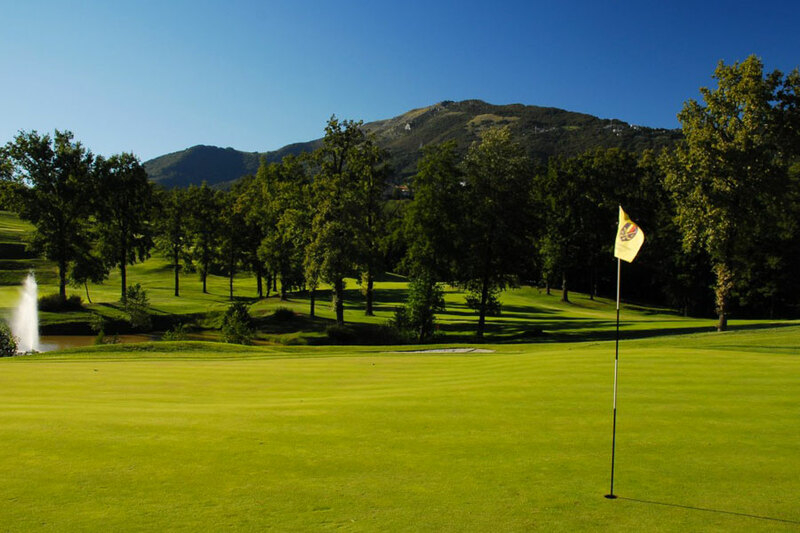 The journey that brought Golf Club Bergamo “L’Albenza” to be recognized as one of the most prestigious golf clubs both nationally and internationally started back in the late ‘50s, from one of Cesare Magnetti’s ideas. The industrialist from Bergamo was the first to envisage implementing a golf course in the area between Barzana and Almenno San Bartolomeo, surrounded by the Imagna and Brembo valleys, south of the Orobiche Alpine Foothills. Driven by the desire to offer enthusiasts a course of a significant level where they could practice their beloved sport, similar to those already in circulation in the United Kingdom, Magnetti made a personal commitment to find the ideal area for its realization; after a careful assessment, he discovered it among lush vegetation, densely packed with natural dips. Extending over 85 hectares and located at the base of the Alpine Foothills, it immediately seemed like the perfect solution for his project. So, involving other friends and prominent figures from Bergamo (among them the Legler family, knight commander Martino Mazzoli, knight Vincenzo Polli, and engineers Carlo Coltri and Carlo Presenti), Cesare Magnetti was able to collect the necessary funding for construction of “L’Albenza” Club. After two years of intense and passionate work, it was inaugurated on Easter Sunday, 1961. The work of London genius from the prestigious Cotton & Sutton Studio gave L’Albenza highly technical fairways that take full advantage of the morphology and natural resources of the territory: the two British architects produced a fascinating and challenging course, characterized by the presence of several raised tees and a balanced distribution of water hazards and bunkers. Then in 1988, nine additional holes were added to the Albenza course, dedicated to President Cesare Magnetti and known as the “Red Course”. This project was a result of the design by Tom Linskey (Director of the National Federgolf School from 1981 to 1984) and Marco Croze. 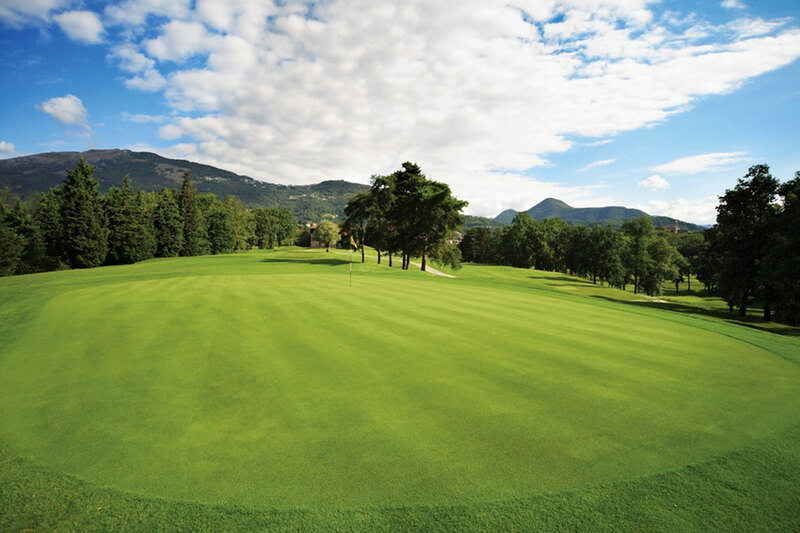 Thanks to the quality of its route and top level services, Golf Club Bergamo has always been regarded as a benchmark at the national level; and not only that, but all the enthusiasts who loved practicing their sport on those greens also saw the wonderful beginnings of Constantine Rocca, the greatest champion in the history of Italian golf. Inside the Clubhouse designed by architect Sandro Angelini, it is a perfect combination of tradition and modernity. It hosts offices, a bar, game rooms, and a restaurant. Of particular beauty, the large rooms have ample windows looking out directly over the green, and internal walls in stone and wrought iron are made following ancient traditions of the Orobie valley, a witness to strong ties with the local culture that bond the Club to the city of Bergamo. When it hosted Italy’s Open in 1996, the structure was enhanced by the construction of a new storage area for bags and a Pro Shop located near the Club House, designed to further increase the quality of services offered to Members and Guests. For this same purpose, two swimming pools and card rooms were later built. The creation of the so-called “Clubbino” in the late 90s showed the Club’s desire to promote passion for golf among younger generations. Every year, numerous young golfers, as well as youngsters eager to try out the game, sign up for this club. 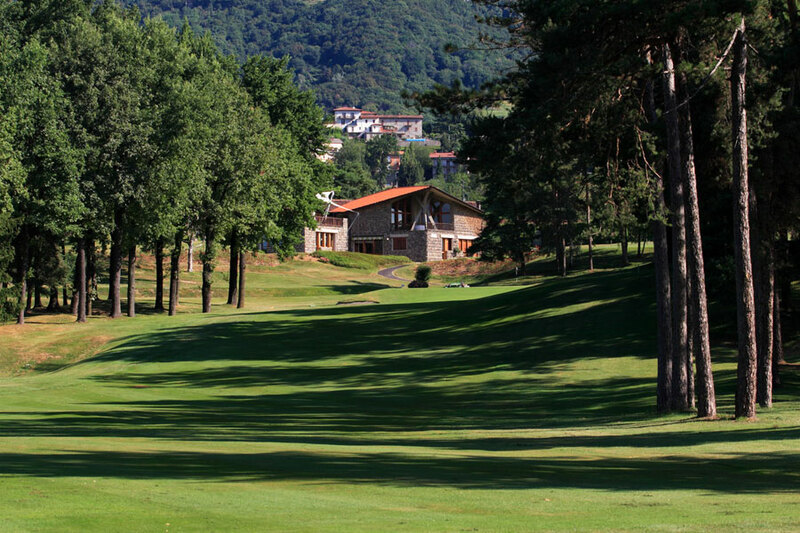 In 2011, Golf Club Bergamo “L’Albenza” celebrated its 50th anniversary. Once just a dream by Cesare Magnetti, today it is a golfing reality made up of elegance, expertise, and passion for one of the most fascinating and engaging games in the world. La Club House, progettata dall’architetto Sandro Angelini, rappresenta un incontro perfetto tra tradizione e modernità. 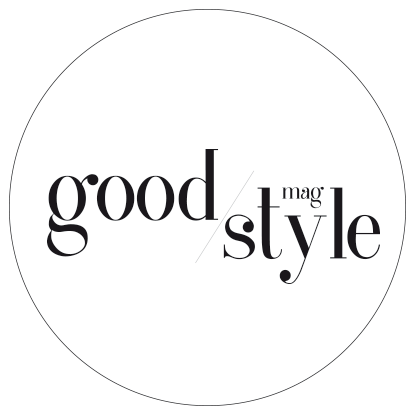 Essa ospita, al suo interno, l’elegante sala ristorante, il bar, ampi spogliatoi, sale gioco, una palestra e la sala massaggi; di particolare bellezza sono i grandi saloni con ampie vetrate affacciate direttamente sul percorso, ed i muri esterni, realizzati, secondo l’antico costume delle valli orobiche, in ciottolo e ferro battuto, a testimonianza del legame mai dissolto con la cultura locale. In occasione dell’Open d’Italia del 1996 si è proceduto all’arricchimento della struttura attraverso la costruzione del nuovo locale sacche e del Pro Shop, posti nella zona prospiciente la Club House, e realizzati al fine di incrementare ulteriormente la qualità dei servizi offerti a Soci ed Ospiti. Con il medesimo scopo sono state successivamente create le due piscine e le sale destinate al gioco delle carte. Il desiderio del Circolo di trasmettere la passione per questo meraviglioso sport anche alle nuove generazioni, ha portato alla fine degli anni ’90 alla realizzazione del cosiddetto “Clubbino”, al quale, ogni anno, aderiscono numerosi giovani golfisti e ragazzi desiderosi di un primo contatto con questo gioco. Il 2011 ha sancito i primi 50 anni di attività del Golf Club Bergamo “L’Albenza”, ieri sogno di Cesare Magnetti e oggi realtà golfistica caratterizzata da eleganza, competenza e passione per uno degli sport più affascinanti e avvincenti del mondo.